The South Australian perinatal statistics collection for 1988 was used to consider the association of low socio-economic status in metropolitan Adelaide (South Australia) with maternal demographic and obstetric characteristics and pregnancy outcome in 12047 singleton births. Socio-economic status — low, middle or high — was inferred from the socio-economic rating of the postcode of residence. Chi-squared analyses were carried out to test for significant trends in proportions of pregnancy and pregnancy outome variables across the socio-economic groupings. There was trend for the proportions of adverse obstetric and perinatal outcomes to decrease with increasing level of socio-economic status. 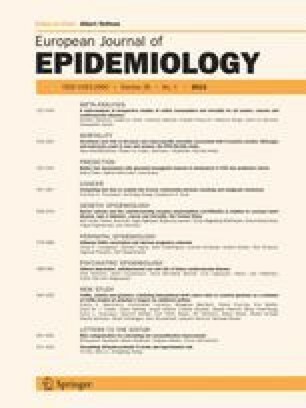 Logistic regression analysis, adjusted for maternal age, marital status, race, parity and gestational age, confirmed the findings of the trend analyses, namely that mothers from the poor socio-economic areas were at a greater risk for poor pregnancy outcome. These poor outcomes included Apgar scores of less that 7 at both 1 and 5 minutes after birth, delay in onset of regular breathing of 5 minutes or longer; the need for intubation; the use of narcotic antagonists; low birthweight of under 2500 g; the need for special nursey care; and neonatal death.